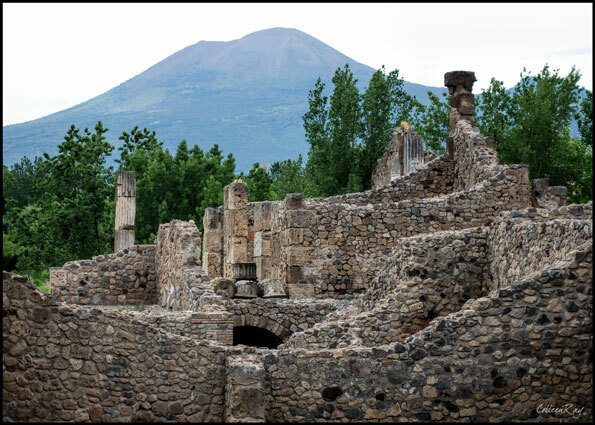 Vesuvius, the only active volcano in mainland Europe, looms in the background of Pompeii. Today 3,000,000 people live in the vicinity of Vesuvius. 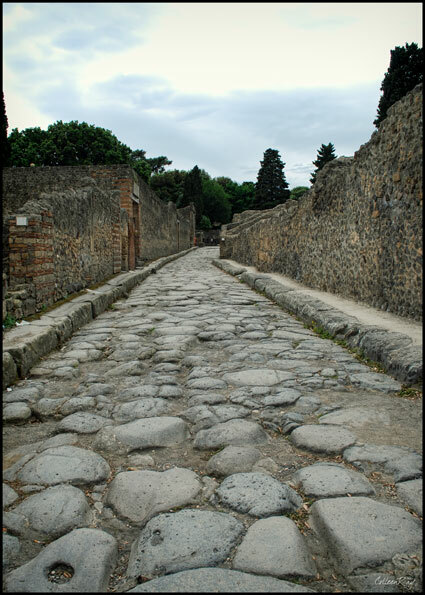 Pompeii was a city of 20,000 people. A booming Roman trade center and port, it disappeared in a single day. August 24, A.D. 79. Vesuvius blew molten rock 20 miles into the air, covering Pompeii in 30 feet of ash. 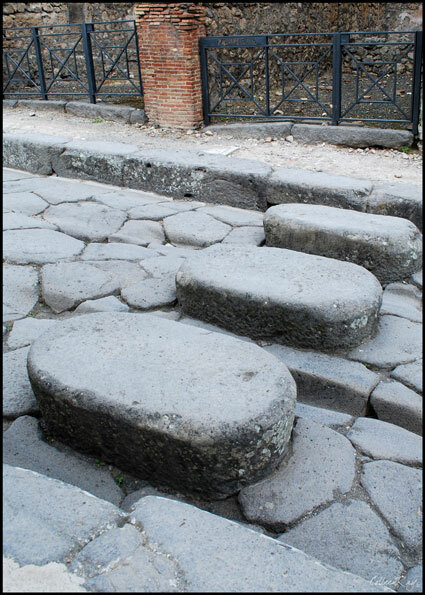 The city stayed buried for more than 1500 years until it was found accidentally in 1599. 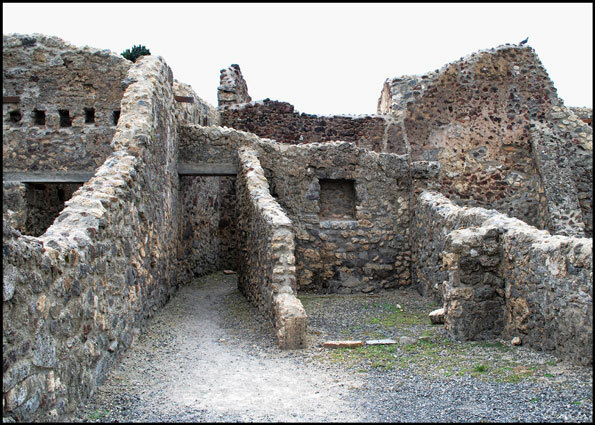 A catastrophic event at the time of its destruction, Pompeii was an archaeologists dream come true. 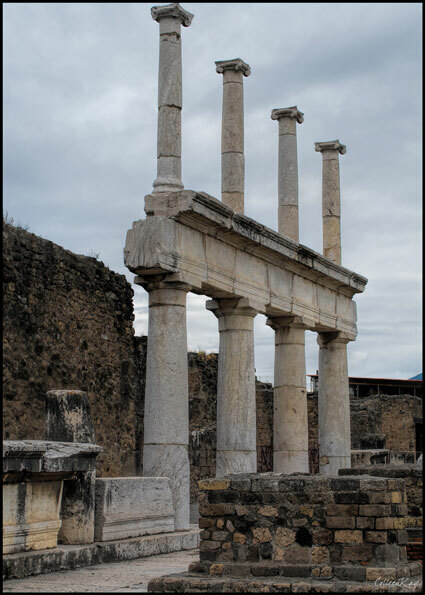 When excavations began in 1748, Pompeii provided an unparalleled opportunity to learn about Roman life frozen as it was in time by the massive eruption. 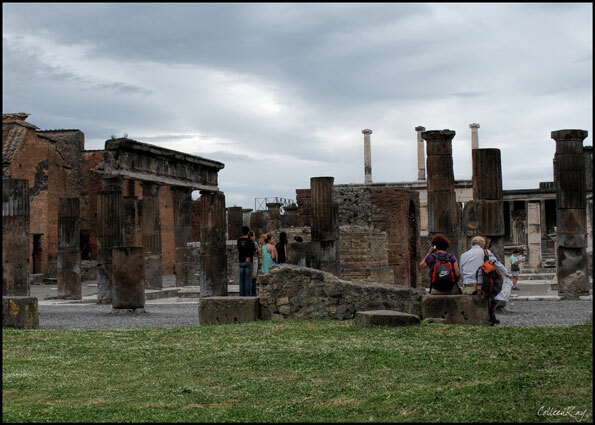 The day we visited Pompeii was overcast and grey, adding to the eerie atmosphere of the ruined city. 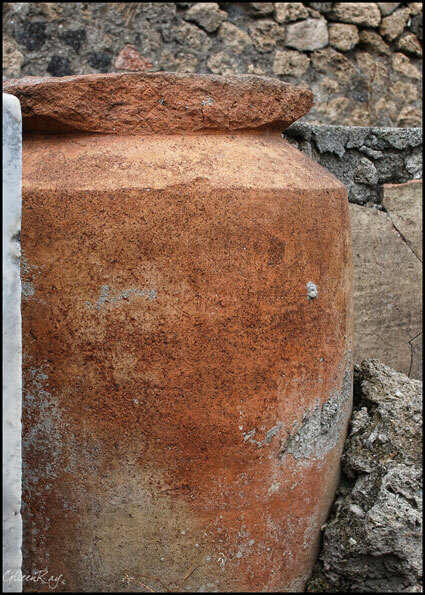 Pompeii itself is almost colorless - just bits of frescoes, wall colors, and decorative elements remain at the site as the bulk of the art and artifacts have been removed to the Archaeological Museum in Naples. 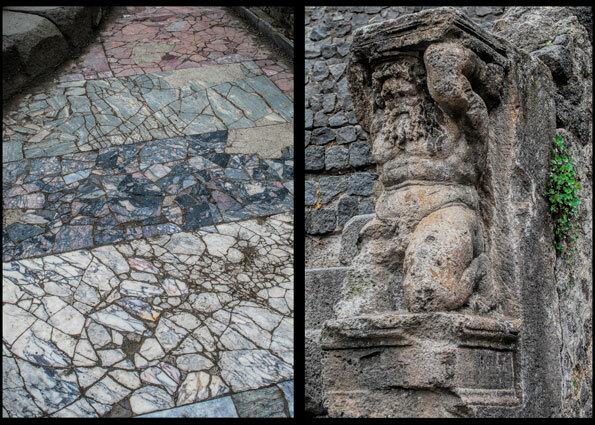 Filled with tourists, a walk through the city of Pompeii still somehow manages to impart a sense of desolatation. 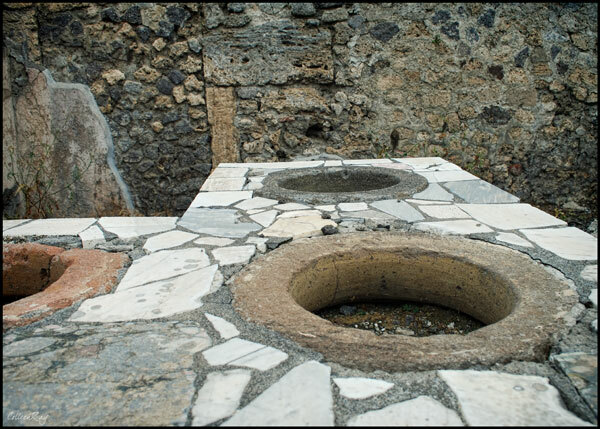 Pompeii, founded in 600 B.C., had 40 bakeries, 130 bars, restaurants, hotels, and some 30 brothels. by flushing with running water. Citizens used stepping stones to cross the flooded streets. Pompeii had lead pipe plumbing buried under the sidewalks. and wines for sale - the Roman version of a fast food restaurant. 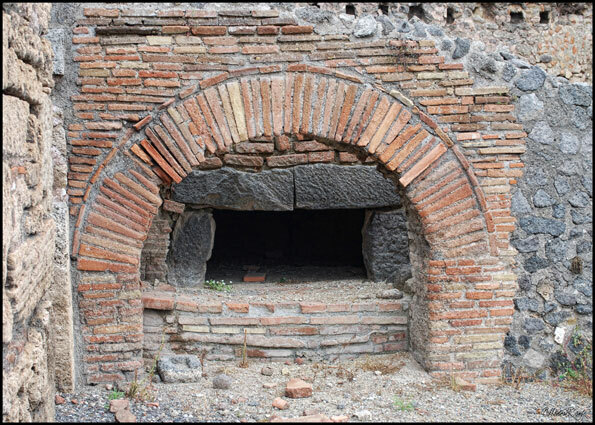 ....and ovens are the remnants of daily life at Pompeii. 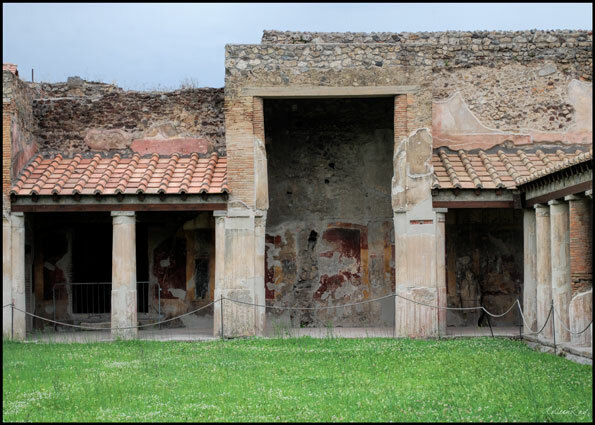 Most of the buildings at Pompeii were covered in bright white stucco made from ground marble. 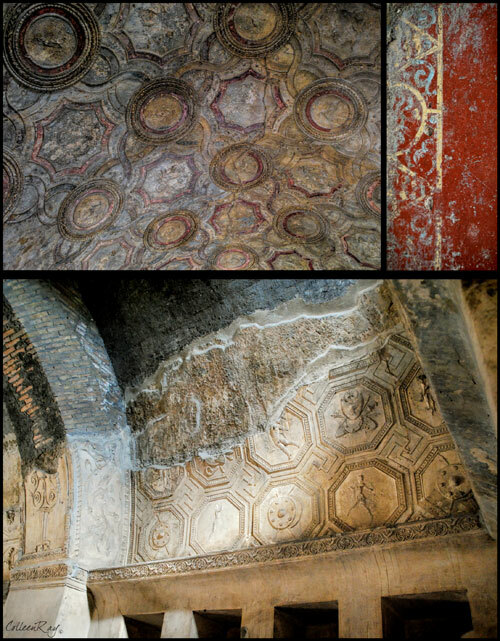 Marble floors, sculptures, frescoes and mosaic adorned interiors and exteriors. The ceilings at the public baths. 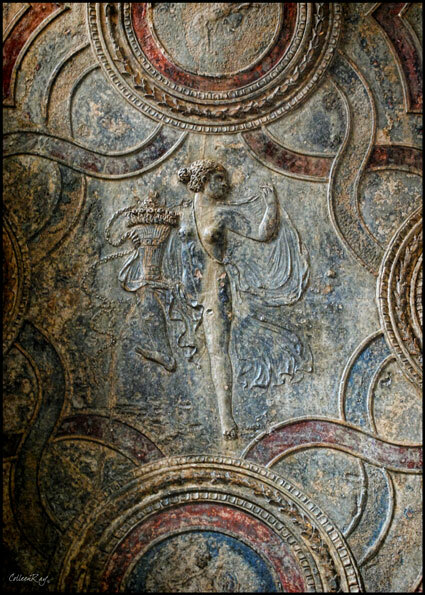 Detail of decoration at the public bath. 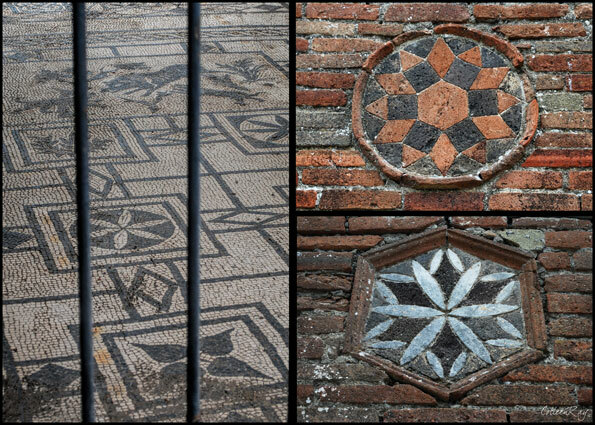 Mosaic floor and wall adornments. 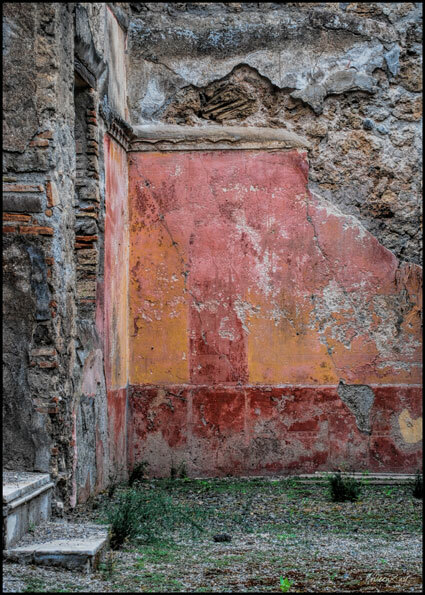 and wall colors give an idea of how Pompeii's buildings once looked. 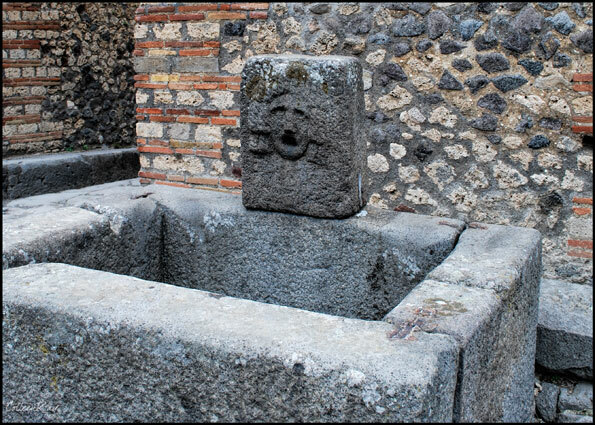 Pompeii's aqueducts transported fresh water to public fountains. 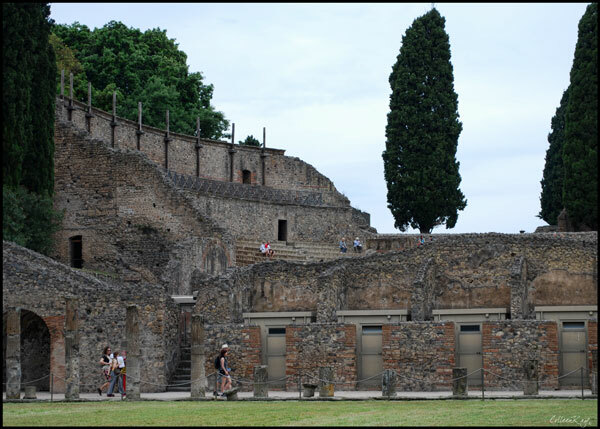 Remains of the forum, once Pompeii's grandest piazza. 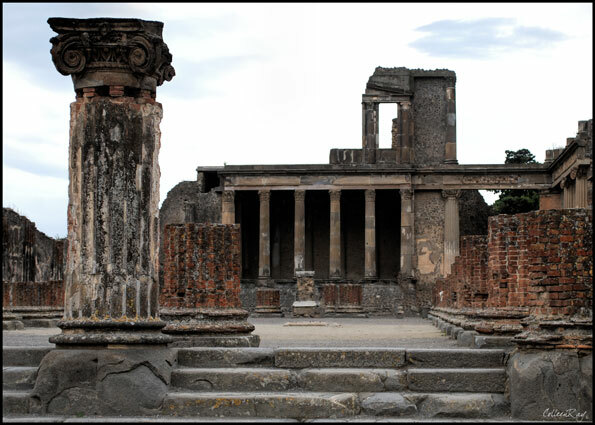 Pompeii's basilica was its court of law.